Teaching music lessons via Skype, FaceTime, and Google Hangouts has become increasingly popular in the digital age. It’s convenient for student and teacher alike. Teachers can teach out of the comfort of their own home. They can control exactly how long the lessons last and they don’t need to spend time and resources getting to and from a lessons studio. Online music lessons have given students access to a wealth of musicians and artists from around the world. You are no longer limited by geography – you can easily take lessons with someone halfway across the world. Students can also easily record lessons using third party software or the iPhone’s screen recording feature. This allows them to review what they learned, in case there was anything they missed, or anything they needed clarification on. It’s also nice for students to be able to practice immediately after the lesson, instead of having to walk or drive home and set up their gear again. By that time, they may have forgotten what they learned or have their attention taken away by homework, chores, etc. Of course, this is also a boon for teachers. Many musicians who have developed a significant online following will occasionally do blocks of Skype lessons, and this works well for them. Their following on social media is generally happy to take a Skype lesson and pay for it, and the teachers love that they can teach from literally anywhere, anytime. That said, teaching online comes with its own set of challenges. Technical difficulties, payment difficulties, and communication can all be challenging in the online sphere. So, how can you start teaching lessons online, and where should you find your students? In this guide, we’ll give you some tips that will help you develop a successful teaching practice. Have You Ever Taken Lessons Online? 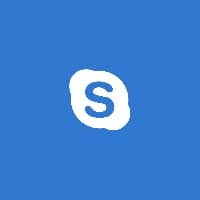 There are some unique issues to consider when beginning Skype lessons. Here’s what you need to keep in mind. Since your lessons can be with anyone across the world, you need to ensure that your time zones are lining up. It’s very awkward to miss a Skype lesson because of a time zone issue, and it’s frustrating for both student and teacher. Be clear about which time zone you are in and which time zone your student is in. Consider sending the student an email confirming the details/timing of the lesson, and ensure that you include the time in their time zone. Also note: You can use software like ScheduleOnce, which will localize the time and date for both parties. The cost is minimal, so if you’re teaching lots of lessons, this is a good way to get your scheduling challenges handled. To start, it’s always better to have a wired internet connection while teaching. Wi-Fi can cut in and out and be sketchy. This cuts down on the quality of the lesson the student receives. Always have your computer connected to power (i.e. if you’re using a laptop), as Skyping tends to drain batteries quickly. Update to the latest version of Skype/FaceTime/Google. Advise your student to do the same. This minimizes the risk of technical difficulties. If you are using a proper microphone to teach, do a test call beforehand to make sure it’s working. Position yourself in a well-lit spot without too many shadows. Students should be able to see your hands clearly. You need to be close enough to the camera for the student to see detail, but far away enough for them to get a perspective. It’s always better to be front-lit than back-lit, as back lighting does not translate on a webcam. Advise your student to set up similarly. They should be well-lit and close enough to the camera for you to see clearly what they’re doing. Most new laptop and desktop computers have respectable front-facing cameras built into them, but if yours does not, I wouldn’t recommend skimping on a webcam. It’s an investment that will pay for itself. Go for something with a good definition, and if possible a high-quality microphone built in. Sometimes, if you move in close to the camera to show the student something, the picture will become very pixelated and slow. This, however, is usually temporary and can be avoided with a strong internet connection and a good camera. A good choice is the Logitech C920 HD Pro Webcam, which is fantastic for the price. Its mic isn’t its strong suit, but you do get a great quality video. There are many ways to set up the audio component of Skype lessons. For starters, you can simply use your computer speakers and microphone (i.e. if you’re using a MacBook). Surprisingly, this is often the best way to do it, simply because it’s easy. Again, as long as you have a new computer or a good webcam, both the audio in and out should be good. Many people teach with headphones in. That way you reduce the risk of the student constantly hearing echoes when they talk/play. You may want to get your students to use headphones/earbuds as well. Apple headphones with a microphone work well for this, but you’ll probably need headphone extenders for mobility purposes. That said, you can also set up your video communication app to receive and send sound from an audio interface. This way, you could mic up an amp or DI a keyboard, and also run a higher-quality microphone. It’s worth experimenting with different methods to see which you prefer. The biggest issue people have with using Skype or any video service is that both parties usually experience some latency. Latency means a delay between when you speak and when the other party hears you speak. The best way to mitigate this is to speak clearly and be mindful of this issue. Allow the student an extra few seconds to digest what you say, because there may be a delay. Enunciate your words with proper diction, and play whatever you’re playing clearly and slowly. The more you do it, the better you’ll get at it. Eventually, you’ll figure out how to time your responses so that students hear you at the appropriate time. Teaching with Skype is a bit of a compromise for everyone involved. It’s harder to converse and it’s always more fun to learn/teach in person. 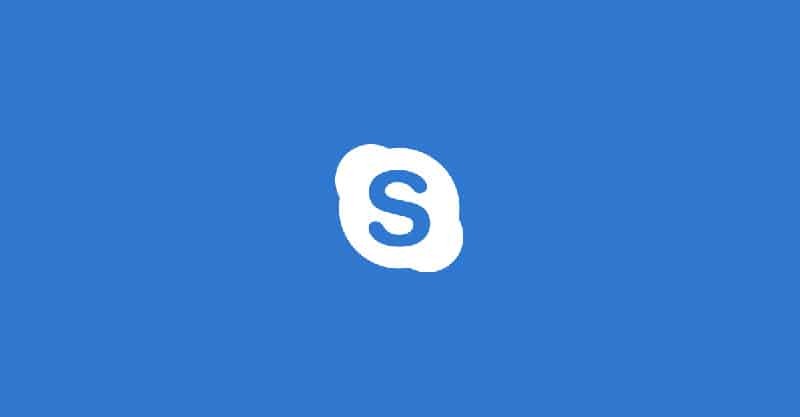 To make your Skype lessons more valuable and engaging (thus ensuring repeat customers) I would recommend providing some additional links, emails, and even some online tools to enhance the experience. At the end of the lesson, consider sending the student an organized email detailing the contents of the lessons and the work that the students should be doing at home. While you are teaching the lessons, have the student’s contact info at the ready, in case you need to send them a bit of sheet music or something to look at while you discuss ideas. If you are using Skype, you can use the dialog box at the bottom of the screen to do this. As you would with in-person lessons, provide value to your student and give them things to work on and look forward to. Finding students for Skype lessons can be a bit of an uphill battle. 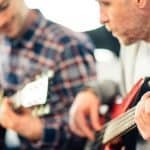 Whereas teaching local lessons is often as easy as approaching a music studio or music store, teaching exclusively through Skype means you need to have a group of people interested in taking lessons from you. How can you build a teaching practice? As a musician, there’s a good chance you already have a website set up. If not, then take some time to develop one. You may even have a good amount of traffic coming to your website. That means less work for you. It’s possible you’re a little concerned about the conflicting message you’ll send to your fans by posting lessons on your website. This probably isn’t as big of an issue as you might think, but if you’re worried, you can always set up a landing page where students can go to learn about your lessons (i.e. by sending a link to the page via social media or email). Provide an introductory video, a free lesson or two, some testimonials from other students, and a “buy now” button that allows your students to purchase lessons with you (preferably in bulk) right away. Prospective students are everywhere, and often the people interested in taking Skype lessons are following musicians and artists on Instagram and other social networks. Many professional musicians develop social media presences through videos of their playing, strategic hashtags, and key features on popular channels. Once you start building a presence, make occasional posts about teaching Skype lessons and put a link to purchase your Skype lessons in your bio. Eventually, you will start booking more and more lessons. Note: you can also start connecting with people on social media, especially on Twitter. It’s not that hard to find musicians in the making, and there’s nothing saying you can’t drop them a line and point them to your website, free lessons on YouTube, or whatever else you might have they can dig into. Sites like TrueFire offer a music lessons in the form of online videos. These sites have huge communities of people taking lessons. If you create a good quality course and get it on one or more of these sites, you have an opportunity to start building a Skype lesson practice. Share links to your social media and website where you are advertising your lessons. Also note that courses are a better leverage of your time. Once developed, they can stay online forever (back them up on your hard drive just in case). You can keep adding and sharing more courses, making more money, and free up more of your time. If you get to that point, you can pick and choose which students you want to personally work with, instead of taking any and all students that come your way. The one-to-many model has certain advantages. There are many websites that offer Skype music lessons. Just Google “online music lessons”. Start researching these sites and apply to teach lessons with them. This is very convenient for teachers, as billing, organizing, and promotion are all taken care of for you. But you won’t have as much control over your time, how much you charge, how the lessons are set up, and so on. So, there are certain sacrifices to convenience, but if you’re looking to get more clients right away, this can be a good way to go about it. These days, there are many convenient forms of advertising (such as Google AdWords or Facebook ads) that allow you to quickly drive a lot of interest in your lessons. If you’ve got a bit of a budget, give it a try. 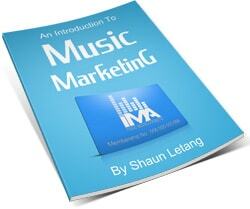 Once you get started, there are many paths you can take as an online music instructor. 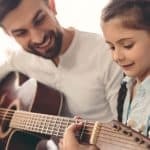 There isn’t a shortage of opportunity to raise the next generation of musicians and make good money in the process if you are determined and organized. Some teachers and musicians like to offer Skype lessons to squeeze more productivity out of their free time. This is fine if that’s all you ever wanted your teaching business to be. Others see it as just one possibility among a sea of many. You can blog, put advertisements on your blog, put a PayPal tip jar on your website, promote affiliate products, offer workshops, start a membership site, create eBooks, earn from your YouTube videos (advertising, sponsors, Patreon, etc. ), and a whole lot more to capitalize on your passion for teaching. It all depends on your goals and how far you see yourself taking your teaching career. If you’ve taken lessons online, comment below and tell us about your experience. Similarly, if you’ve taught online lessons, let us know what worked for you!